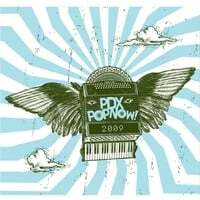 2009 Compilation – PDX POP NOW! PDX Pop Now! is thrilled to announce the track list for the 2009 Compilation. As always, we feel that this compilation represents a variety of both new and well-know Portland artists. We hope you like it as much as we do! The compilation will be released on June 4. The compilation will be available for purchase ($8) at local retail outlets and online at CD Baby. Proceeds from sales of the album go towards funding the festival and the rest of our activities.